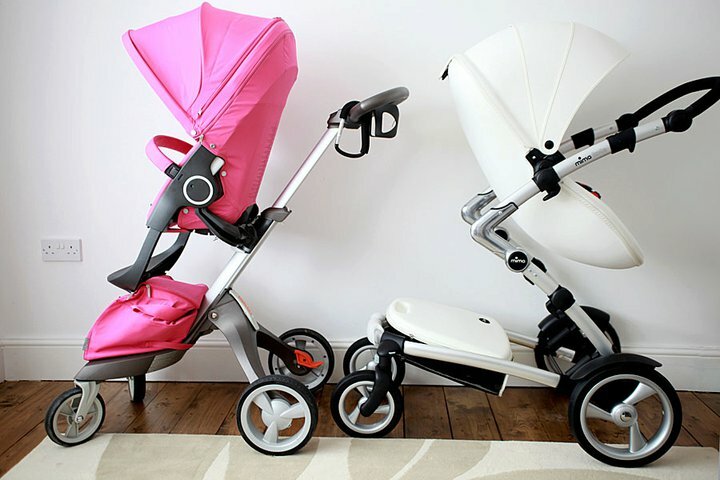 These are side by side photos of the Stokke Xplory and the Mima Kobi. Please note these photos were done to show the height of the two pushchairs rather than as a comparison ie like for like. The Mima Kobi is marketed as a double. The Mima Xari is really the single Mima, although as shown in the photos, the Kobi works brilliantly as a single pushchair too. 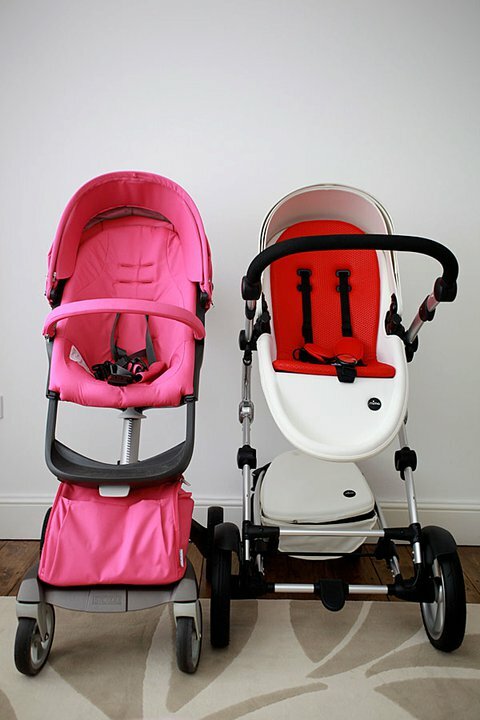 Both pushchairs have similarities. Both seat units slide up and down the chassis to high and lower positions. Both at set at the highest position in these photos. The white Kobi has been imported and is not available to buy directly in the UK. With many thanks to Sunvill for taking these photos for me and allowing me to post them here.